Marley Trunking and fittings are manufactured from high quality uPVC, to provide cable management solutions for building fit-outs. Made for both indoor and outdoor use, it is highly U.V. resistant and has a range of features for security and accessibility. It is light weight for easy handling and meets requirements of the NZ building code. 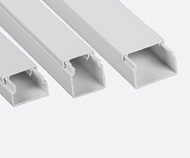 With a comprehensive choice of lengths and sizes, our trunking complies to manufacturing standard AS/NZ 4296. 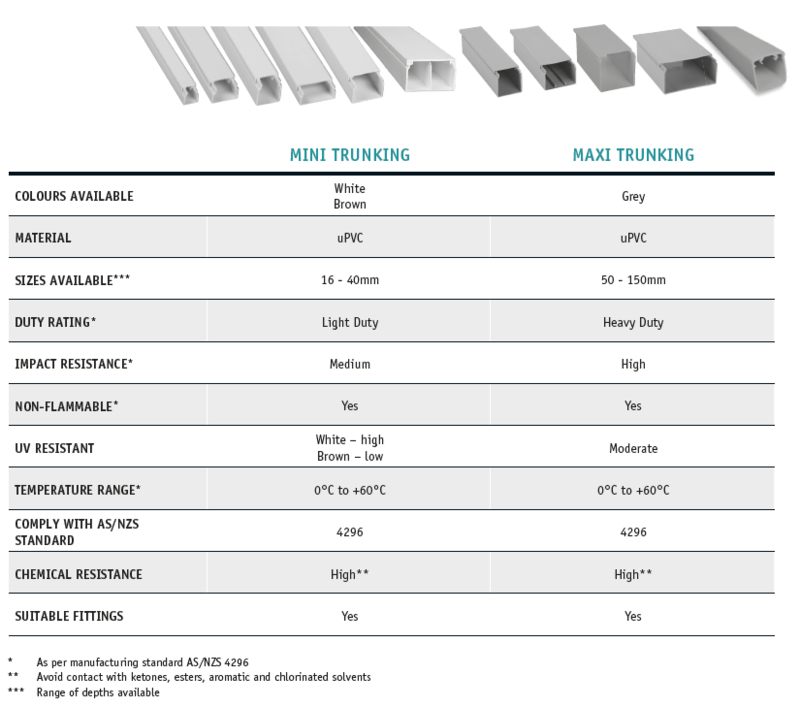 Marley Mini Trunking is ideal for concealing cables within various residential, industrial and commercial applications. It is designed to be aesthetically appealing whilst providing protection for your new or retro-fit installation. Available in white and brown and a wide range of sizes (16 – 40mm) in 3 or 4m lengths, along with the compatible fittings. 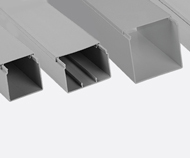 Marley Maxi Trunking offers a range of sizes to conceal and protect surface wiring – perfect for agricultural and industrial buildings that require larger cable-carrying capacity. Available in light grey/dark grey and a range of sizes (50 – 150mm) in 4 and 3m lengths.